Today, I finally got to try some Glamour Doll Eyes (GDE) eyeshadows! I have been really wanting to try them for a while, especially some shades from their matte squared lines, Matte Squared Feminine and Masculine. More generally, I just wanted to try their matte shades. I have been wanting to try almost every matte formula I come across because I am trying to find the best matte formula. Matte is my favorite finish, if I haven't already said that before in a blog post. I'm putting all six shades to the test and seeing how they perform. As a disclaimer, all products are press samples but all opinions are my own. The shadows I will be reviewing and swatching are Pretentious and Tawdry from the Matte Squared Feminine collection, Courageous and Arrogant from the Matte Squared Masculine collection, Ahoy Sailor, and Spikes and Pearls. Close ups, swatches and review after the jump! Matte blueish teal with a very subtle purple sheen and a silvery gold sparkle. Matte gray/slight blue with orange sheen. 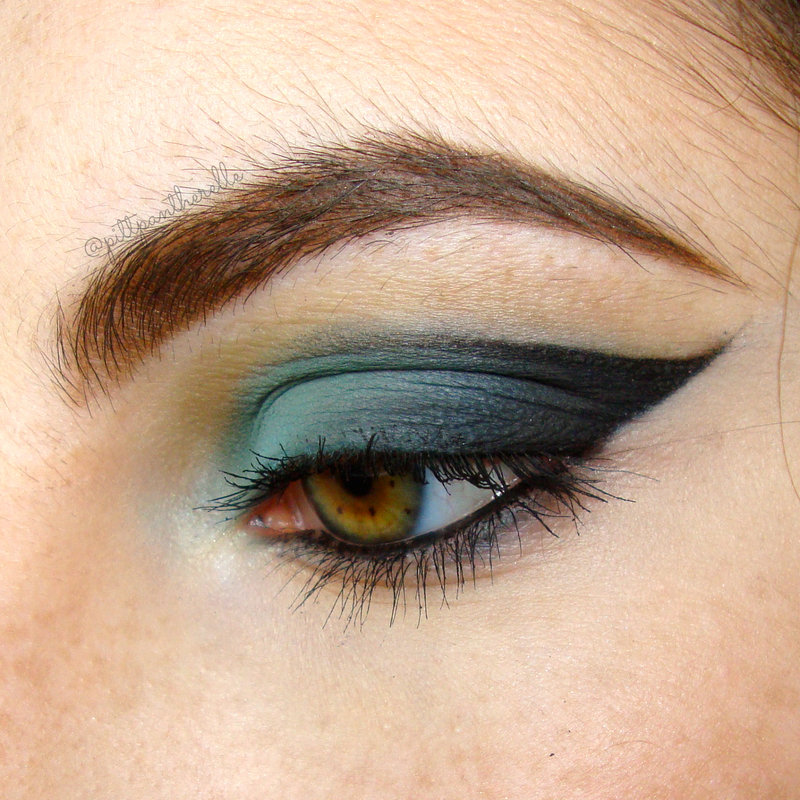 Matte dark greenish teal with blue sheen. How do I swatch and why do I swatch the way I do? For swatches, the top (or left) is NYX Jumbo Pencil in Milk as a base, the middle is no primer/base, and the bottom (or right) is Fyrinnae Pixie Epoxy as a base. I also make two passes, one in each direction, with a sponge tip applicator for application. I want the swatches to really demonstrate how the eyeshadow performs, both alone and with different types of primer/bases. I may not have the most beautiful swatches but I want the swatches to really tell the story of the eyeshadow. For all the looks, full product lists are on my Instagram. How I will review the eyeshadows is by giving it a rating, listing the pros and cons, and then write a little paragraph about why I gave it the rating and other random things. That simple! This is probably my favorite of the bunch. This eyeshadow doesn't show very well on my skin due to how close the color is to my skin. However, I think this is an amazing eyeshadow for a transition color for neutral looks. While this eyeshadow does have some sparkle in it, it will disappear when blended out. It is best to use a sticky base to get the sparkle to show and blend as little as needed. I also love that it blends out well, has good pigmentation, and lasts on my eyelids with primer. However, there still can be improvement with the pigmentation and ease of blending. I love this color a lot and this is a type of color I have been longing in my collection as a matte. I, however, was not as pleased once I used it. Even though this is a pigmented eyeshadow, it has a tendency to really stick to bases (think MAC paint pots) and blends too easily. For the look above, it took a lot to get it to look like that and required lots of layering due to it blending out too easily. 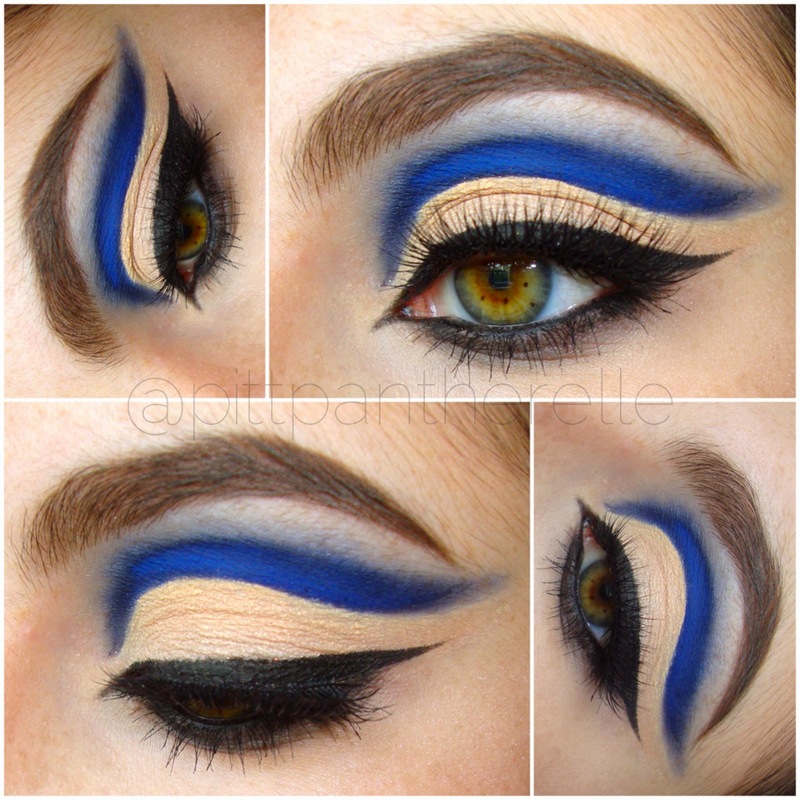 I actually had to use it wet to get to appear as vibrant as it appears and minimally blend. It is a shade that requires a bit of work to make it look beautiful. I'm lumping together these two eyeshadows because they behaved very similarly. These eyeshadows were pigmented and blended out easily. The issue I had was the wear with primer on. I usually have the any eyeshadows last on me with primer throughout the day/night which is usually 8-10 hours of wear. However, the eyeshadows were completely in the crease by the time I removed my makeup and this isn't a normal thing for me. This is not my favorite purple. This eyeshadow does perform well with a primer or base. Without either primer or base, it had a harder time showing up and blending. I dislike this purple more than Pretentious. It was just not pigmented and required lots of packing for it to show up, with or without primer. It does blend easily whenever the color does show. Overall, I recommend you pick up Courageous because it is beautiful and easy to work with and Ahoy Sailor if you love blues. Tawdry and Arrogant I am indifferent about but I am glad to have them in my collection. Pretentious and Spikes and Pearls will probably be eyeshadows I will rarely use, if ever. I hope this was a useful and informative review, and it leads to some informed decisions and possibly purchases!